We’re still going through tough times here, we got bad news from the vet on Shadow yesterday and may have to make a tough decision in a week or so due to complications from feline leukemia. The thought of losing Shadow so soon after Skipper breaks my heart, he’s been with us for over 14 years. And I’m torn because I really do not want to take him to the vet, it would be such a stressful and scary trip for him. He’s always been a shy cat who does not like leaving the house. I’d prefer to let him pass peacefully in his home, but he may be in a lot of pain. Even though he’s very skinny now, he’s still eating and drinking and seems to have energy. We’ll be keeping a close eye on him as we decide what’s best for him. On a much happier note, I’m still catching up from an event filled weekend which is a good thing since my eats have been pretty boring this week with smoothies, salads, and simple tempeh stir fries as I deal with everything else. Last weekend my sisters and I celebrated a big birthday for my mom by taking her to an overnight trip to San Francisco with many fun filled activities. 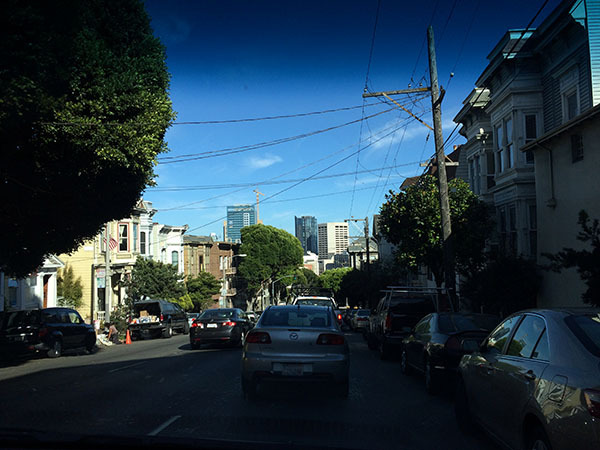 Getting into the city was interesting, we were surprised by the traffic at the Bay Bridge because we had no idea it was a Fleet Week celebration weekend! 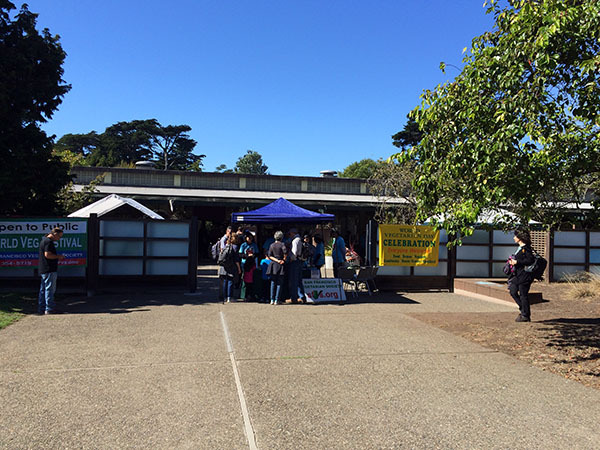 But we finally made it and the first stop was the San Francisco VegFest. I was flattered my mom has taken such an interest in the vegan lifestyle too, she’s getting closer to an all vegan diet and has been very moved by the animal cruelty issues since hearing Dr. Tuttle speak. 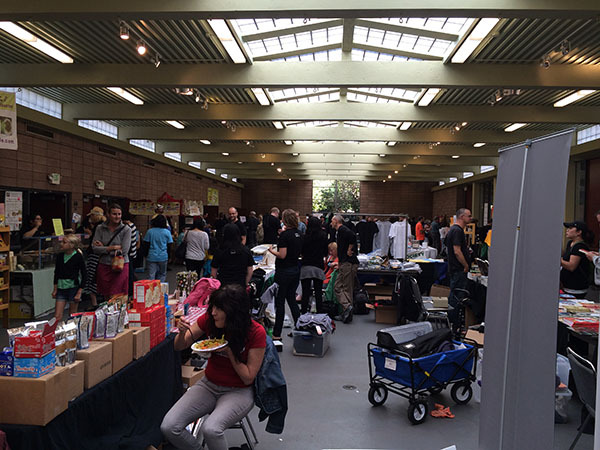 We did not spend too long at the event and mainly stopped by to enjoy the vendor area, freebies, and food. 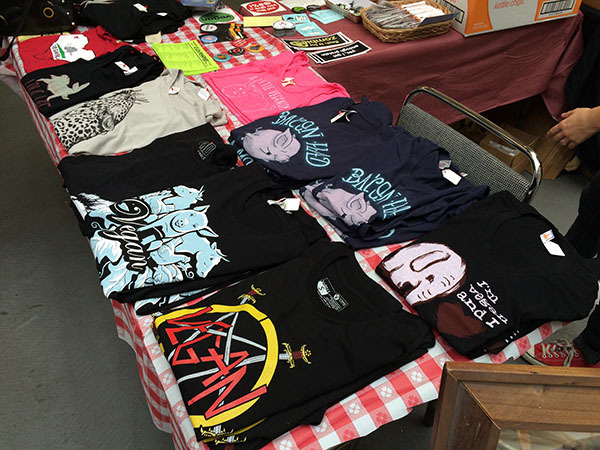 I was very tempted to spend a lot of money at the Republic of V booth! 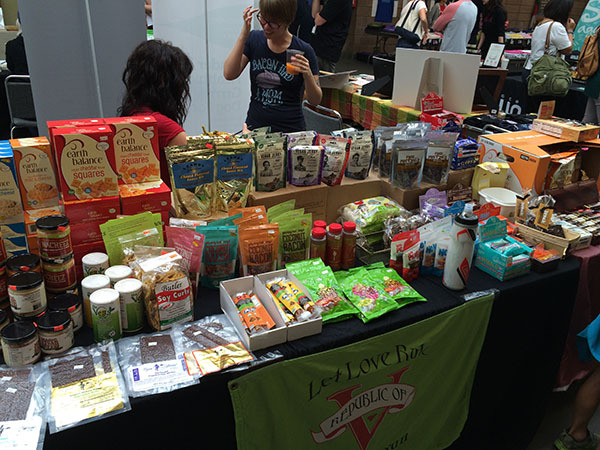 And just excited to see all the products and vegan enthusiasts packing the vender area. 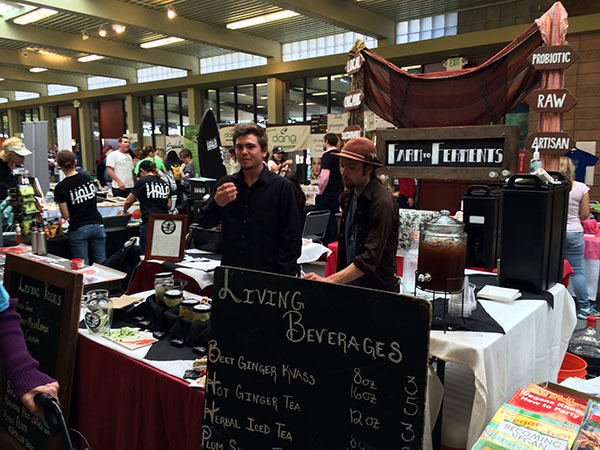 There was also fermented food and drink sampling from Farm to Ferments. 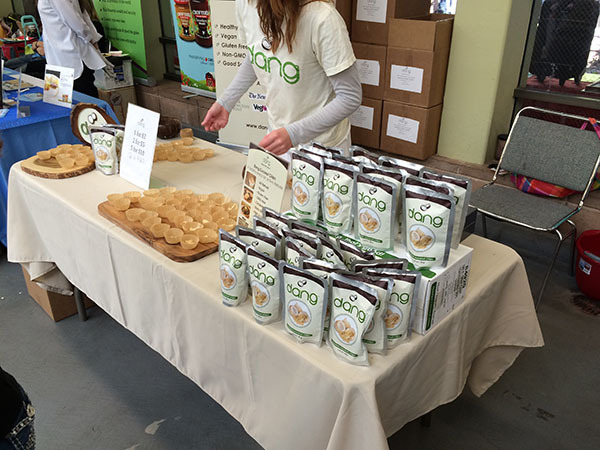 And Dang Coconut Chips were very tasty. 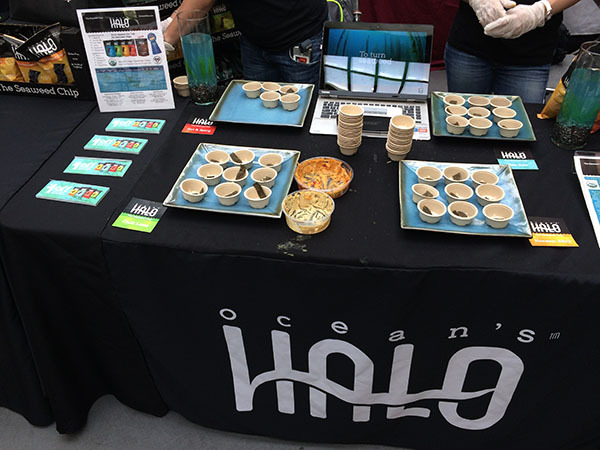 So were these Ocean’s Halo Seaweed Chips. 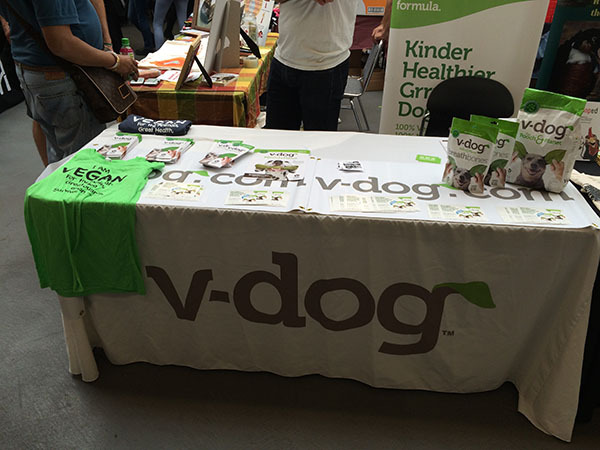 Always great to see V-dog vegan dog food, Skipper was a fan and chihuahuas are becoming more accepting of it. 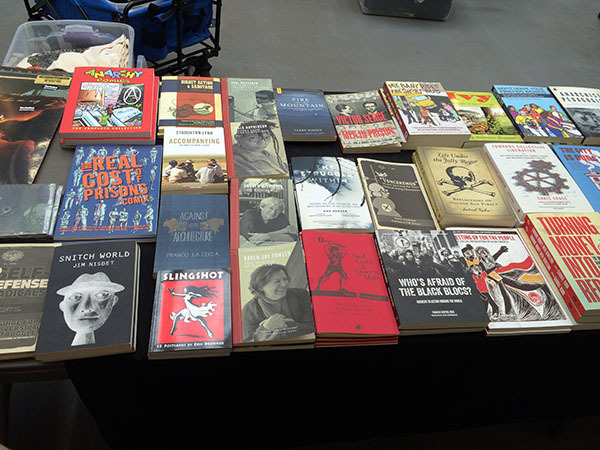 And I enjoyed checking out all the interesting books and reading material. 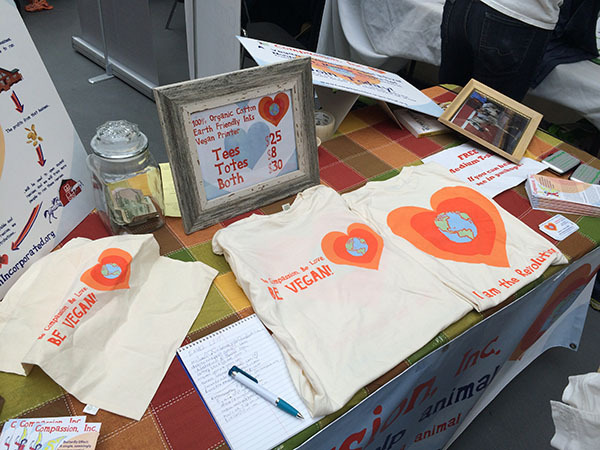 There was also a huge selection of cute vegan tops, I added two new ones to my collection. 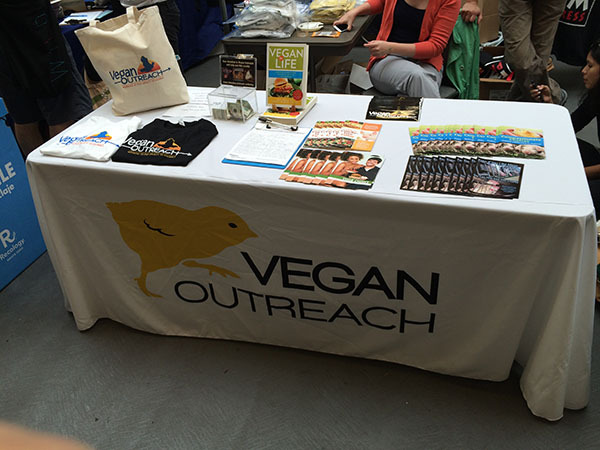 Vegan Outreach was there with great representatives and reading material. And we ate a lot! 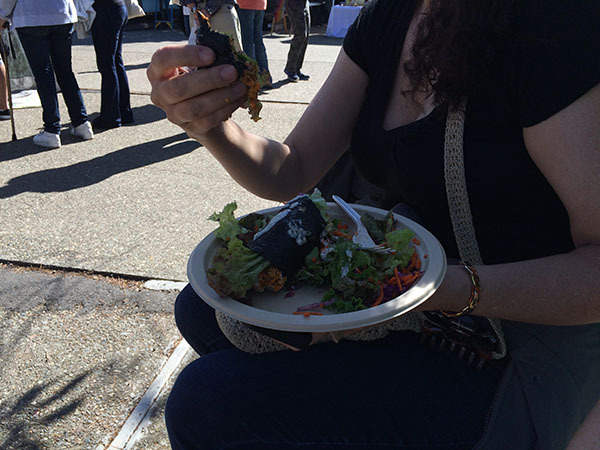 Somehow after all the amazing samples, we still had room to hit the food vendors. My sister got an amazing raw nori wrap plate. 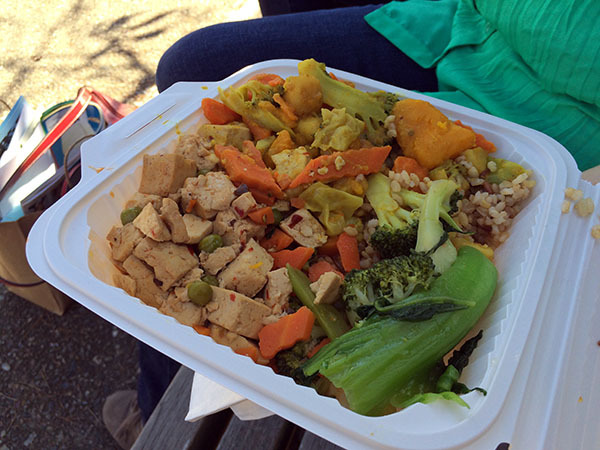 My other sister got this tasty spicy tofu curry dish. 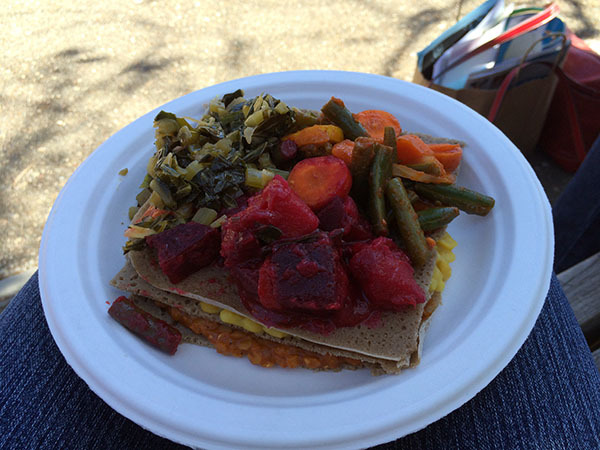 And I got a gluten free Ethiopian veggie stack dish with lentils, corn, and a blend of veggies on top that was wonderful. Since our plates were all so huge, my mom got to sample them all for her meal. After just over an hour at VegFest, we piled back into the minivan loaded down with free samples and loot to head to the hotel for check in. And the next installment of our San Francisco adventure is coming soon after I finish going through those pictures and videos! OMG…I’m so sorry to hear about Shadow! Continued thoughts and prayers! HUGS!!!!! Thanks, so though seeing him in his current state and not being able to do anything about it! He’s hanging in there today. Thanks for posting this! I wasn’t able to attend this year due to work. All the best with Shadow. I have been thinking of you since I learned about Skipper. I hope you’re holding up ok! Thanks, so tough losing them! It was a great event, I was impressed with the products offered and could have spent more time there. Dang, I wish I could have attended!! The food looks amazing. Prayers for Shadow. Thanks on Shadow, he’s hanging in there this morning eating and seems to have energy!